loves to sit and just enjoy the people around him and life in general. 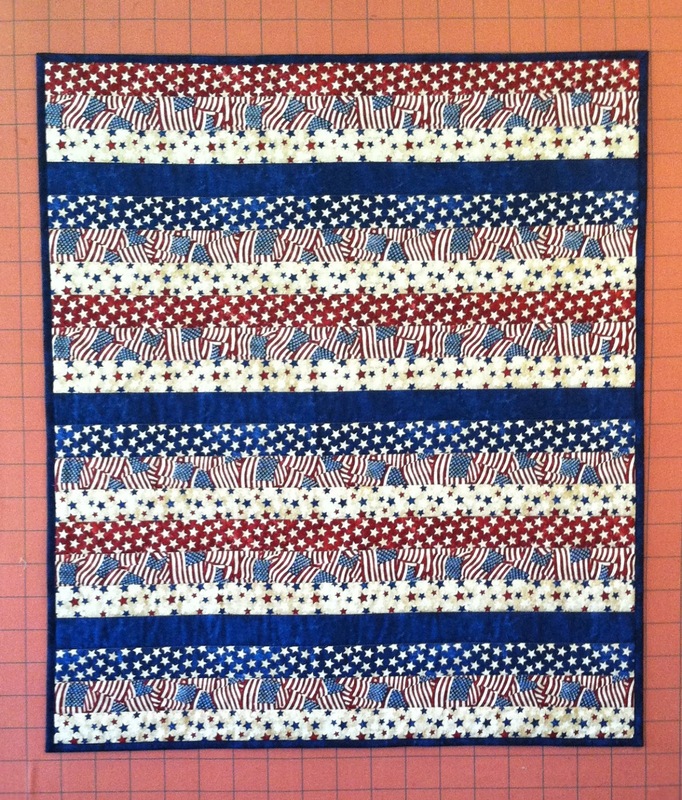 I decided that I could not let the recipient give up his quilt, so I told him that I would make a quick lap quilt in the appropriate size for his dad. He said that I didn't have to do that, but I insisted. 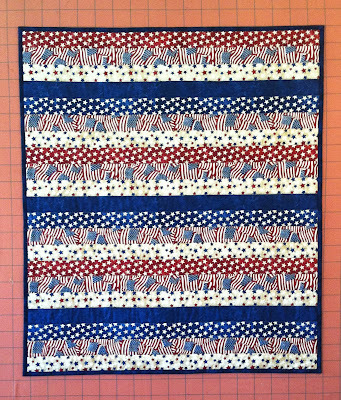 I used a one-yard cut of Star & Stripes by Deborah Edwards for Stonehenge and did some quick straight line quilting. It's bound and ready to go. I'll make a proper QOV soon for the dad, but this will work in the mean time. Friday's presentation depleted my patriotic/QOV stockpile so I started a couple of new ones. I'd already had them kitted up so it was easy to just pick up and sew. It has been a good break from grading papers this weekend. I'll post pictures tomorrow of what I've completed. How wonderful of you to do this - I know you love to though. If I was closer, I would pop on over to help out. Look forward to the presentation. You are a rare gem. You really make a difference in people's lives by going the extra mile.